DALLAS, June 12, 2017 /3BL Media/ – Kimberly-Clark (NYSE:KMB), a leader in sustainably-made personal care products, today announced a unique three-year agreement and collaboration with World Wildlife Fund (WWF) designed to raise awareness of the importance of choosing products that use fiber from responsibly managed forests. As part of the new “♥ YOUR PLANET” (“HEART YOUR PLANET”) campaign, the company will display WWF’s iconic logo on its paper towel, facial tissue and toilet paper products sold in North America. This initiative is part of an 8-year partnership between the two organizations, and is a natural next step in advancing responsible forestry through consumer education and engagement. Kimberly-Clark is proud to display the WWF logo on its packaging and in promotion. The WWF logo will be on the packaging of Kimberly-Clark’s North American tissue products certified to Forest Stewardship Council® (FSC®) standards, including Kleenex® facial tissue, Scott® paper towels, Viva® paper towels and Cottonelle® toilet paper. FSC® is considered a “gold standard” in forest certification and assures that these products come from responsibly managed forests that provide environmental, and social benefits. 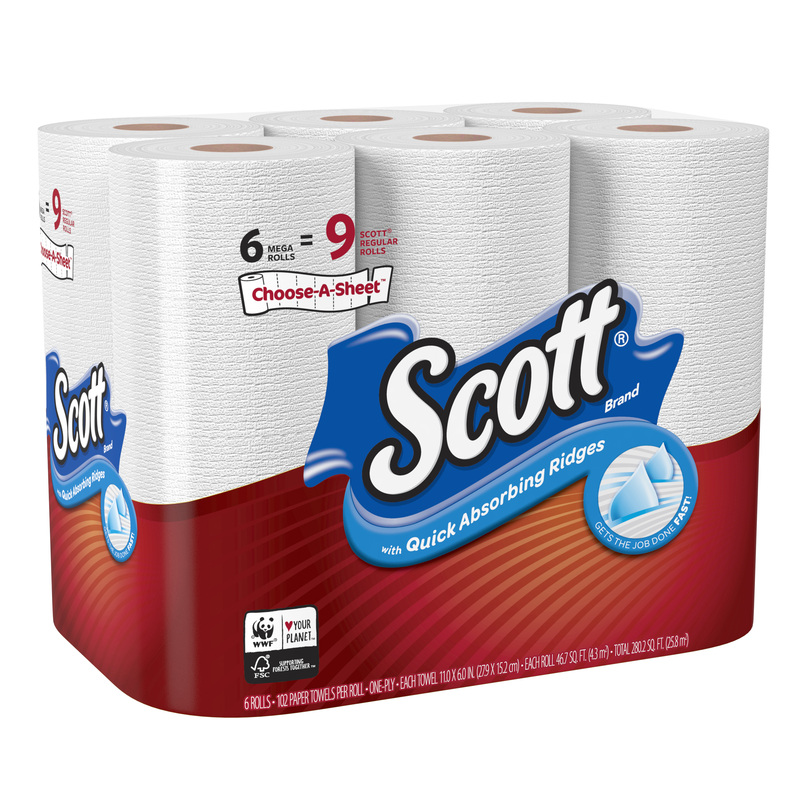 Consumers and retailers will start to see the Kleenex®, Scott®, Viva® and Cottonelle® brands integrate the WWF Panda logo on its packaging from June 2017, starting with Scott® paper towels. “Put simply, Kimberly-Clark cares. We care about our people, our communities and the future of our planet. We are also very proud that our leadership has moved other manufacturers in our industry toward higher levels of certification,” said Jay Gottleib, president of Family Care for Kimberly-Clark North America. “We were the first U.S tissue company to bring FSC certified tissue products to market, and the first U.S tissue company to have 100% of our suppliers certified as providing fiber from responsibly managed sources. Today, we will be the first U.S tissue company to partner with WWF through an on-pack campaign across our well-recognized brands, to help drive even more awareness among consumers of the importance of choosing responsibly sourced tissue products by looking for FSC certification”. In addition to its support of responsibly managed forests through our procurement practices and educating the consumer about FSC, over the next three years, through this partnership, Kimberly-Clark will also provide $4 million to support WWF’s efforts to protect forests and other critical ecosystems. This campaign supports Kimberly-Clark’s Sustainability 2022 strategy. Kimberly-Clark’s latest sustainability update will be issued at the end of June 2017. Visit www.kimberly-clark.com/sustainability to learn more. Kimberly-Clark (NYSE: KMB) and its well-known global brands are an indispensable part of life for people in more than 175 countries. Every day, nearly a quarter of the world's population trust Kimberly-Clark's brands and the solutions they provide to enhance their health, hygiene and well-being. With brands such as Kleenex, Scott, Huggies, Pull-Ups, Kotex and Depend, Kimberly-Clark holds No. 1 or No. 2 share positions in 80 countries. To keep up with the latest news and to learn more about the Company's 145-year history, visit http://www.kimberly-clark.com or follow us on Facebook or Twitter.